(TibetanReview.net, Jul20, 2016) – China which claims to adhere to a policy of non-interference in other countries’ internal affairs has on Jul 18 expressed concern over the situation in Kashmir in the Jammu and Kashmir State of India in the aftermath of the killing of the leader of a terrorist group during an army operation on Jul 8. Justifying his country’s right to comment on the situation, China’s Foreign Ministry spokesman Lu Kang has said in a press release that Beijing’s position on the Kashmir issue has been consistent, namely that it is a disputed territory. China’s official Xinhua news agency Jul 18 cited Lu as saying his country was concerned about the deaths and casualties caused as a result of clashes between civilians and Indian security forces which broke out after the killing of 22-year-old Burhan Wani of the militant group Hizbul Mujahideen. India’s arch-enemy Pakistan had earlier strongly criticized India for the killing of Burhan Wani and its handling of the violent protests which erupted in its aftermath. The press release was apparently meant to express solidarity with China’s “all-weather friend” Pakistan which also raised the issue in the UN, where India accused Islamabad of using terrorism as instrument of state policy. The Xinhua report said more than 40 people had been killed and nearly 2,000 others injured so far during the clashes. 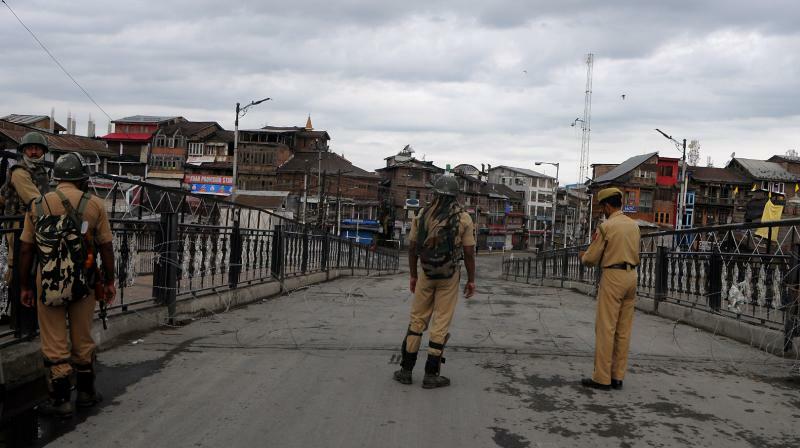 Normal life remains paralyzed in Kashmir due to curfew imposed after a strike call by separatists in the aftermath of Burhan Wani’s killing. Meanwhile, speaking in parliament, India’s Home Minister Mr Rajnath Singh on Jul 18 blamed Pakistan for stoking the violence in Kashmir.